Easter is celebrated a lot in Germany! 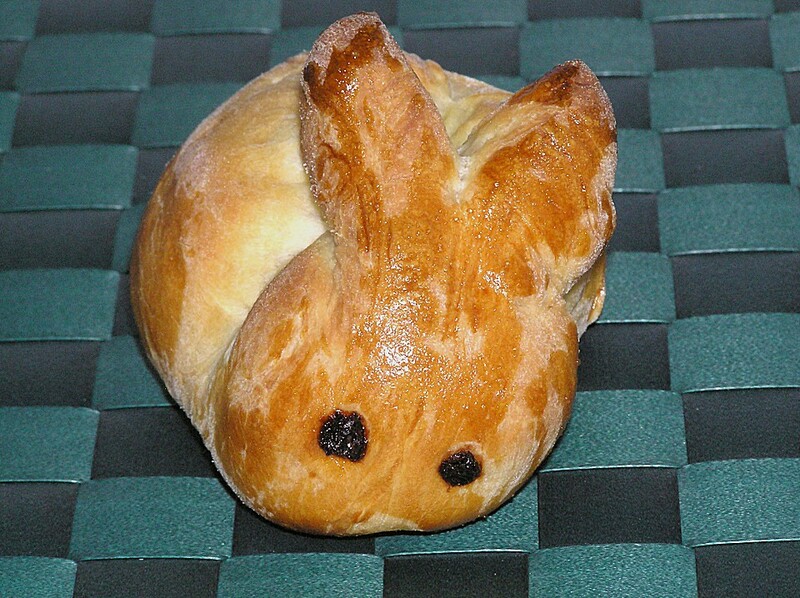 The German Sweet Bread Easter Rabbit is an original German recipe for Easter. It is ideal for your Easter Brunch or breakfast. Happy Baking! Mix all ingredients, knead until you get a smooth dough. Let it raise covered with a clean kitchen cloth at a warm place until the dough volume has doubled. This can take 30 min or longer, depending on the location. - Make 8 portions of of the dough and roll them (2inches thick). - Cut off a small part for the head and roll it to a ball. 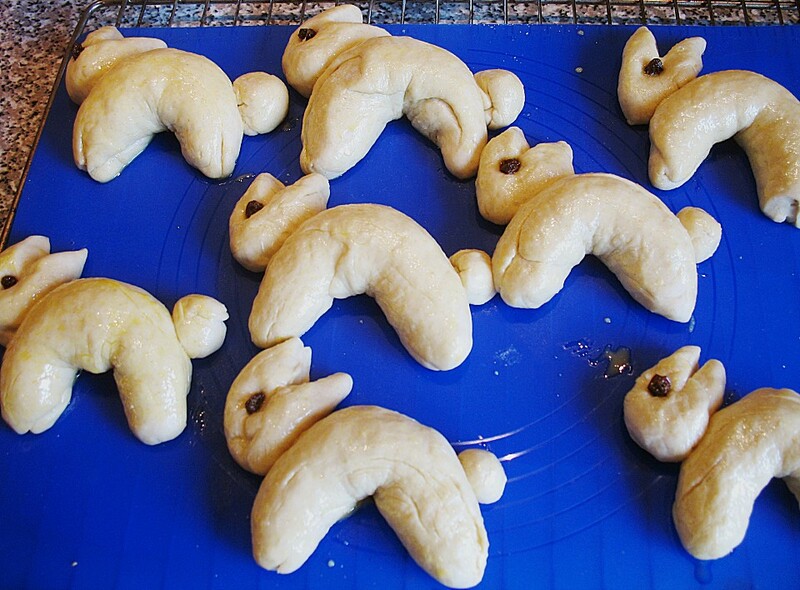 - Have remaining dough pointed at both ends and form it to a half circle. - Place an almond on both ends. - Make the ears: form the head on the sides pointy and with the point of a scissor cut into half. - Place the raisin for the eye. If it won't stick use egg white to make it stick. - Also stick the head with egg white to the body part. - Brush rabbits with a mix of evaporated milk and egg yolk. - Bake in pre-heated oven for 15-20 min on 375 F.